This hotel is 100pct non-smoking. 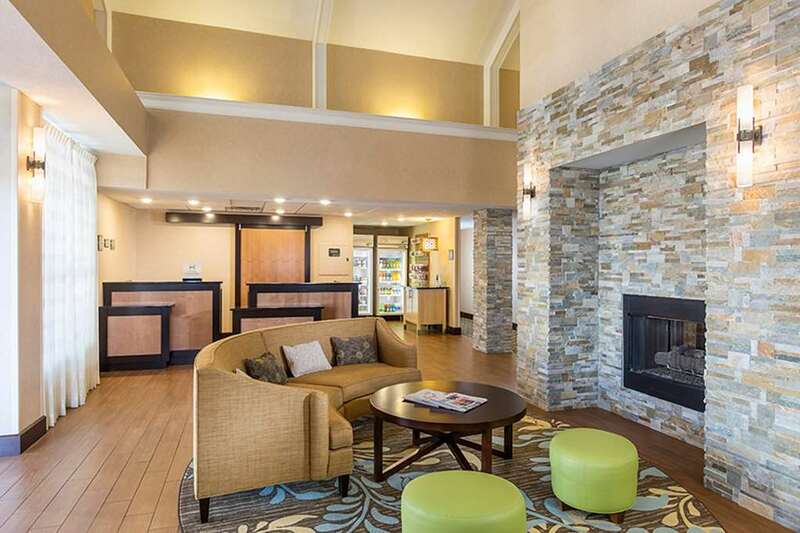 At the Homewood Suites by Hilton Grand Rapids hotel in Grand Rapids Michigan we have perfected the extended-stay experience by combining all the comforts of home with our passion for making every guest feel like welcome family. Each spacious suite at the Homewood Suites by Hilton offers separate living and sleeping areas fully equipped kitchens and plenty of space for relaxing. When you are finished unpacking explore more than 70 shops and dining establishments with a mile of the Homewood Suites by Hilton hotel in Grand Rapids Michigan. To work out the days stresses guests can enjoy the heated indoor pool and spa as well as the fitness room. Each guest of this Grand Rapids Michigan Homewood Suites by Hilton hotel can enjoy the daily complimentary Suite Start hot breakfast or the Welcome Home reception featuring a complimentary light meal and beverages Monday through Thursday evenings /subject to state and local laws/. Welcome home to the Homewood Suites by Hilton hotel in Grand Rapids Michigan. Make Yourself At Home.